Some dieters say that St. John’s wort helps improve energy and alertness and relieves stress and anxiety. 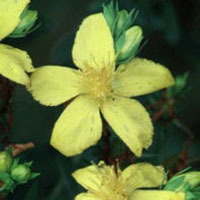 St. John’s wort is well established as a remedy for mild to moderate depression. Since depression can lead to weight gain, and since medications with actions similar to that of St. John’s wort have been used for weight loss, some people have proposed that St. John’s wort can be useful for weight loss. However, no research at all has investigated whether St. John’s wort has any value for this purpose.